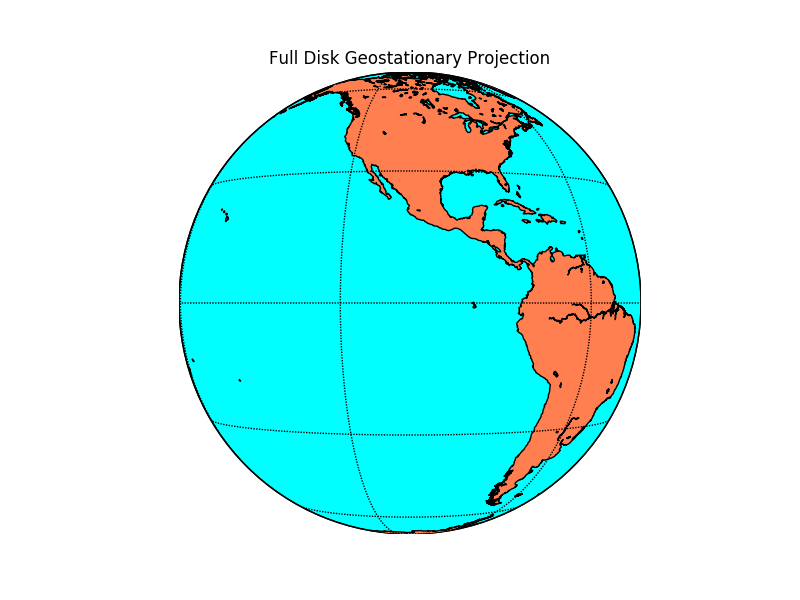 The geostationary projection displays the earth as a satellite (in geostationary orbit) would see it. 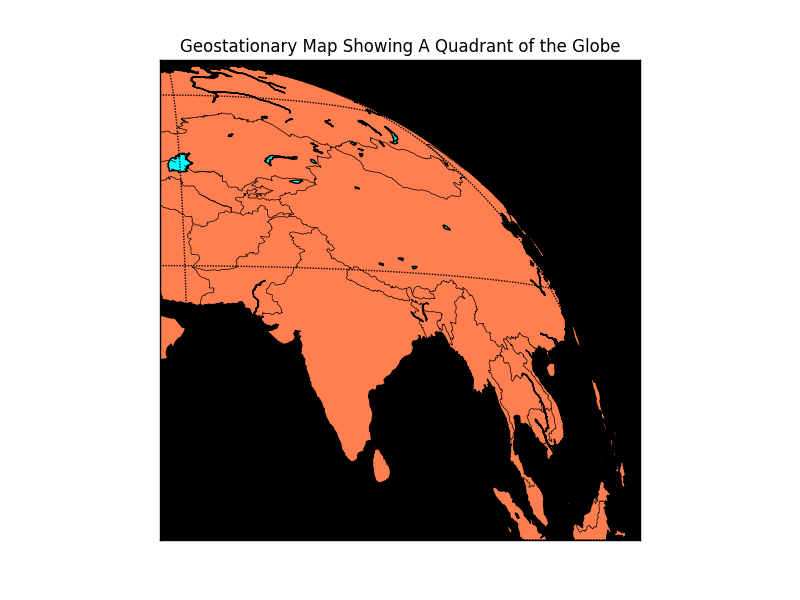 # lon_0 is the central longitude of the projection. # specify height of orbit above earth (default 35,786 km).